Your one-stop-shop for the best photo booths you can find in Cincy. We offer 3 high quality booths to choose from for your special event. You have found the most unique and fun photo booth in Cincinnati. 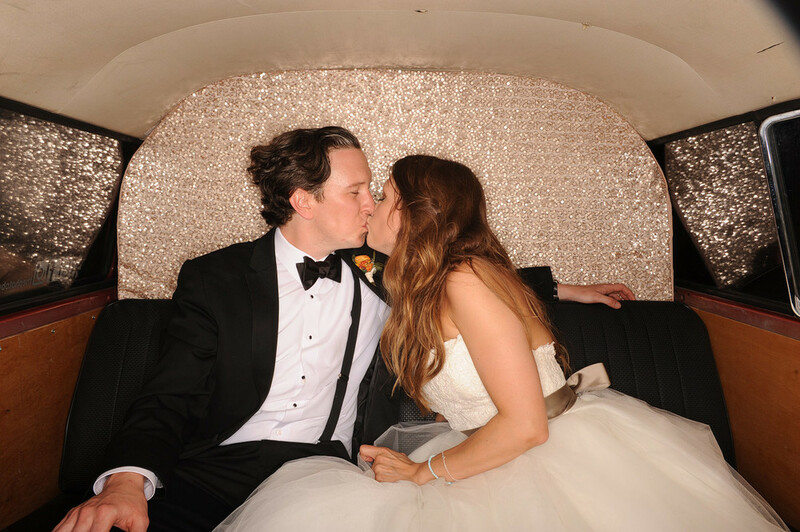 The Photo Bus Cincy is a high quality mobile photo booth that we have custom installed in the back of a vintage VW Bus. 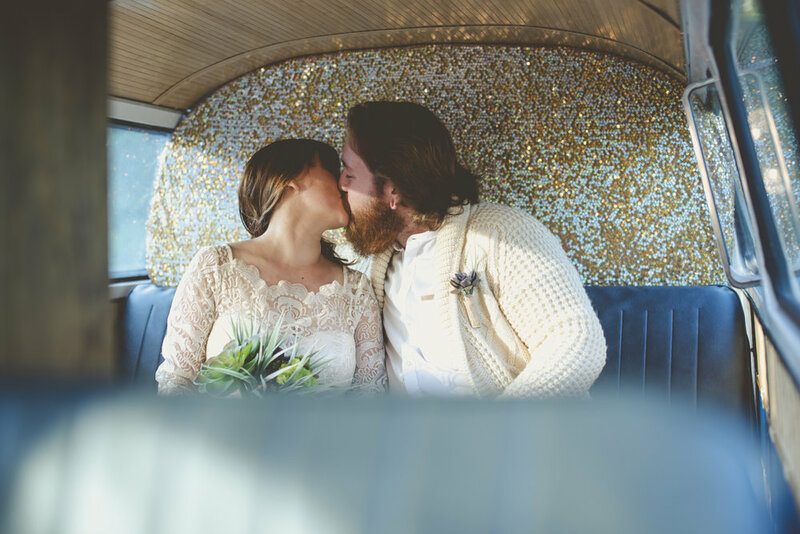 Lovingly restored and cared for, our 1970 VW Transporter is loved by Brides & Grooms, guests, and visitors to all kinds of events. The standard wedding Photo Booth is played out. Have the Photo Bus Cincy at your events for a truly unique experience for your family and guests. Hiring the Photo Bus Cincy is a great way to promote your brand and is a great activity for your employees and guests. The prints will be customized with your brand and website and we can even brand the bus. Birthday Party? Retirement Party? Neighborhood get together? Graduation? Reunion? The Photo Bus Cincy is a great way to get people together and have a great time that will leave everyone talking! Make your event unique. Our Vintage VW photo booth is the coolest, hippest van to happen to Photobooths in the Cincy/Dayton area! VW's mean love! Bring the love to your event! The Photo Bus Kansas City has had 4 couples get engaged in the back of the bus! Will you be next? All of our images go up on Facebook in addition to the prints we hand out at events. You will also receive all the photos that are taken on a personalized Photo Bus thumb drive. We provide unique, one of a kind, handmade props for all of our photobooths that encourage your guests to be creative and fun! The Photo Bus features a fun self operated button so your guests can take the photos at their own pace, select a new prop, or discuss their next pose without rushing. No count down here! Need to feature event sponsors, logos, or a specific business? Custom magnet stickers can be placed anywhere on the Photo Bus to feature your brands or logos. The Photo Bus Co. was started by Professional Wedding Photographers so our photo booth uses only the best equipment. Professional Ring-flashes, Nikon DSLR bodies, and Nikkon lenses. The files are delivered to you at 12mp size. We always have a smile on our faces. We will interact and guide your guests on how to enjoy the photo booth and answer any questions you and your guests have about our Bus. We have a 1970 VW Transporter! VW's have always been about peace, love and FUN! Thats why we selected the classic VW Bus to represent our brand and transform into our unique Photo Booth concept. We worked with the best in the business to strike a balance between classic original VW elements and upgrades to make our buses comfortable, modern and reliable. We pioneered the original ring light powered high quality photo booth in 2007. We asked, whats next? Every wedding and event in the past 5 years has had a photobooth. The Photo Bus Cincy was our answer to take the photo booth to the next level. Absolutely, positively, there's NO way you can get the VW bus in to your venue and it won't work outside? No worries. Our open air photo booth is the exact same experience as The Photo Bus, just without the Volkswagen bus and you can fit more people in a photo! We have tons of backgrounds to choose from to match your event, and guests have fun watching the people before them get creative to inspire their own creative photos. Don't have room for The Photo bus? Check out our Enclosed booth. We have the option of the black and gold glitter background to really make your photos pop! We also have the ability to customize the bottom of your prints with your name, date, hashtags etc! Same great quality in a different form factor. Our Enclosed booth is hand made of bamboo and is a great addition to any event. Two people fit comfortably, 4 are a squeeze if you stand behind the seat... but no matter the number of people behind the curtain guests can get cozy and goofy without being shy in front of the next people in line. Check out The Photo Bus Cincy out on the town. Join us for one of our public events, or book us for your next private event. FOLLOW US, LIKE US, STAY IN TOUCH! The Photo Bus Cincy lives in North Cincinnati and is available for events all over the Cincinnati & Dayton area. Contact us for pricing and availability for your event! We look forward to hearing from you, tell us about your event and any questions you may have! © All text, photos, and logos are copyright The Photo Bus Cincy & The Photo Bus Co. All Rights Reserved.